I got my Australian fabric triangles quilt designed yesterday while my 2 friends were here. After lunch our committee of 3 did some fine tuning and then it was ready to sew. I had to do some thinking about how to sew it together since the large squares broke up the rows. I sewed the vertical seams to create many sections. 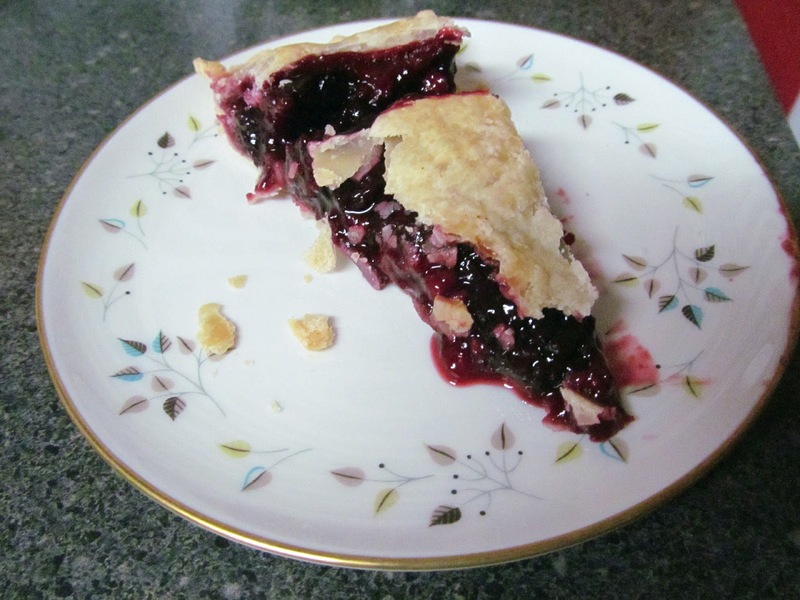 At 2:30 we took a break to eat some four berry pie that one of them brought. This is my piece for today. Last night I started at the bottom and sewed sections together, again with just vertical seams. I have to figure out the pressing sequence before I can sew the horizontal seams. 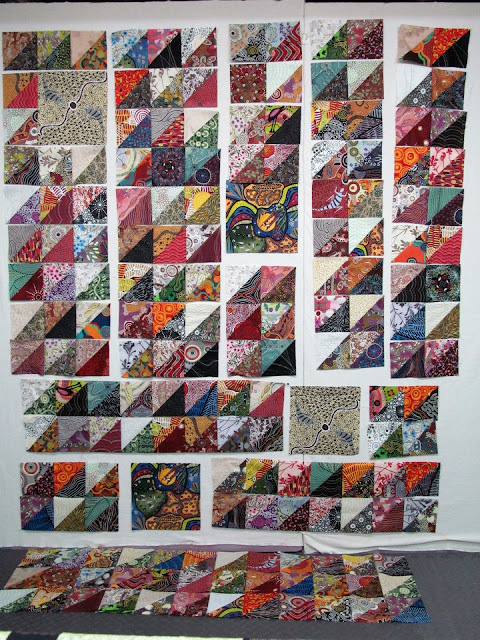 I could have sewn one more section which is 3 rows that go continuously across the quilt but I knew my limits and stopped. This one just took off and flew! It's nice to have the larger squares to focus on and see the full print. I like this a lot. What a great idea to have some large squares scattered in. So glad you and your committee of 3 had a good day. Liking this layout, too. It is always fun to catch up after missing a few days. I like what Debbie said, "it just took off and flew"... I interpreted that as "YOU just took off and FLEW." 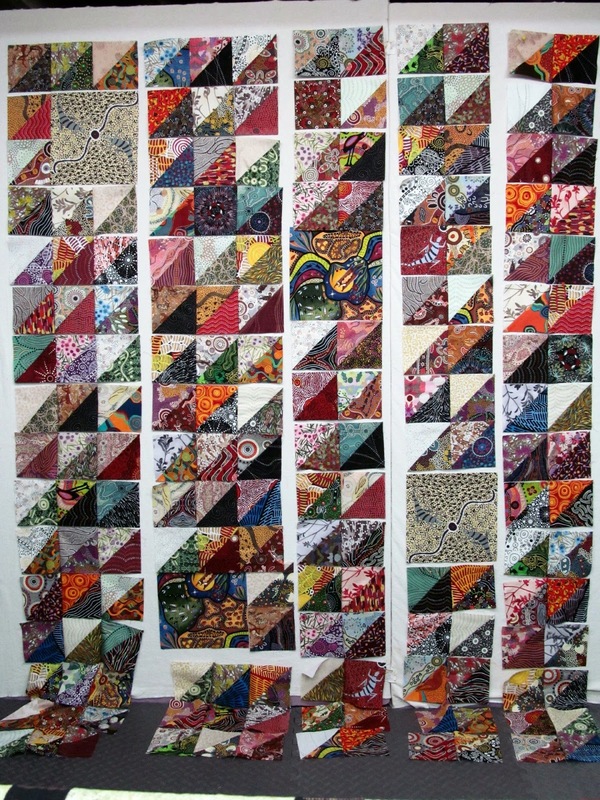 l love the scattering of your large blocks in with the triangles, your fabrics and design is another great piece by Wanda ! 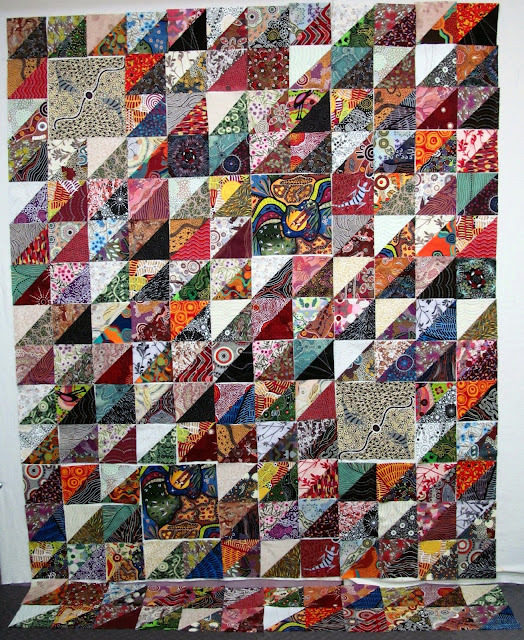 This quilt has so much visual interest. 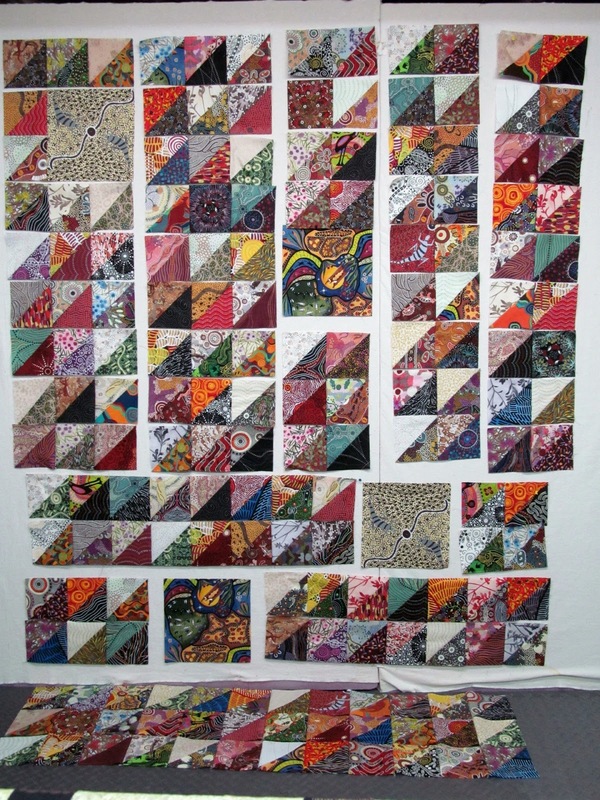 By including several small whole blocks as well as the fewer larger whole blocks, one's eyes really roam, looking not only at the fabric and triangle combinations, but also to read all of the different sizes of blocks. What a magnificent masterpiece, Wanda. I like the visual of Debbie's comment, but, it would of had to be in a JET! Wanda, I think you must have jet propelled sewing machines as well. Gonna be cold tonight. Keep warm. The Aussie fabrics make a beautiful quilt, love the HST's. It's looking great. I like the unexpected squares in there.